I came across this Oklahoma City band on CD Baby.com, which I find better than iTunes or most other places to sample new talented and unique sounding bands. I have discovered several bands this way, the site being continuously updated with a wealth of good new music. 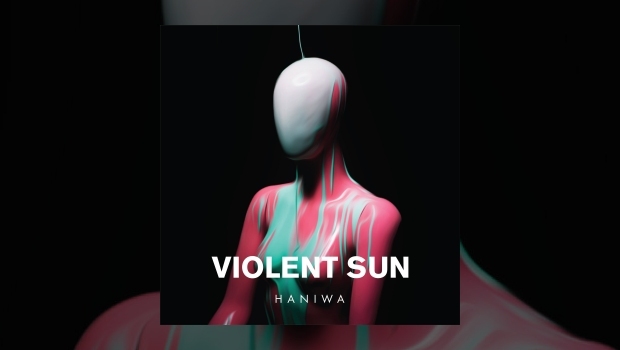 When I first heard Brute, the opening track from Violent Sun, I was struck by the undeniable quality of Haniwa’s vocal driven soundscape. This track, and most of the album, immediately took me back to British rockers Pure Reason Revolution’s The Dark Third, which was one of my favorite albums of 2006. Like PRR, this band knows how to perfectly blend unique guitar rhythms with excellent keyboard inspirations. The drumming is precise and full of dynamic thunder. The quintet comprises multi-instrumentalists Dylan Walling and Shirley Sanders with drummer Jake Jones, guitarist Shawn Stafford and Tyco Holloway on bass, augmented by guest M. Bailey Stephenson who adds harp and vocals to Moon. Vocals throughout come from Walling, Sanders and Holloway, the former pair also handling the production alongside Stafford with the album recorded and mixed by Caleb Gray and mastered by Kevin Lively. Every track on this album is dynamic and well led by either female or male vocals. The lyrics are both interesting and magnetic, adding to the sensitivity, intelligence and maturity of the sound. Shirley Sanders’ vocals stand out throughout and she is the key to my enjoyment of the vocal presentation. Her “oohs” in Your Moon bring gut felt emotion and the opening of Dodecahedron gives you the opportunity to hear her voice in its fullness without as much instrumental support. It is at this point that you can truly appreciate all the subtleties and dynamics that she adds. White Tower is full of powerful syncopation and waves of vocal synchronicity, the likes of which I have not heard since The Dark Third, which flow perfectly into Bone Flute, a song which would have fit so well on that album. Tremble & Pulse is full of soft yet direct piano with birdsong accompaniment in a refreshing and fabulous change of pace. Absolutely is one of the sole guitar–driven songs, and with Sanders’ vocals opening it truly shines bright. As well as the above named tracks, the standouts for me include Pink & Gold and Orcas, but let’s be honest, every song is excellent and there are no throw aways…at all. Violent Sun is full of range and dynamic sound, it will be amongst the favorite albums from 2017. The feelings and sounds from this album remain far beyond initial hearing.